a Dzaye, O. D., Hu, F., Derkow, K., Haage, V., Euskirchen, P., Harms, C., . . . Kettenmann, H. (2016). Glioma Stem Cells but Not Bulk Glioma Cells Upregulate IL-6 Secretion in Microglia/Brain Macrophages via Toll-like Receptor 4 Signaling. Journal of Neuropathology and Experimental Neurology. Kneynsberg, A., Collier, T. J., Manfredsson, F. P., & Kanaan, N. M. (2016). Quantitative and semi-quantitative measurements of axonal degeneration in tissue and primary neuron cultures. Journal of Neuroscience Methods, 266, 32-41. doi: http://dx.doi.org/10.1016/j.jneumeth.2016.03.004. Köse, O., Arabacı, T., Gedikli, S., Eminoglu, D. Ö., Kermen, E., Kızıldağ, A., . . . Yemenoglu, H. (2016). Biochemical and histopathologic analysis of the effects of periodontitis on left ventricular heart tissues of rats. Journal of Periodontal Research, n/a-n/a. doi: 10.1111/jre.12380. Mohanty, R., Das, S. k., Singh, N. R., & Patri, M. (2016). Withania somnifera Leaf Extract Ameliorates Benzo[a]pyrene-Induced Behavioral and Neuromorphological Alterations by Improving Brain Antioxidant Status in Zebrafish (Danio rerio). Zebrafish. doi: 10.1089/zeb.2015.1215. Smedowski, A., Liu, X., Pietrucha-Dutczak, M., Matuszek, I., Varjosalo, M., & Lewin-Kowalik, J. (2016). Predegenerated Schwann cells–a novel prospect for cell therapy for glaucoma: neuroprotection, neuroregeneration and neuroplasticity. Scientific Reports, 6, 23187. Tal, Y., Anavi, S., Reisman, M., Samach, A., Tirosh, O., & Troen, A. M. (2016). The neuroprotective properties of a novel variety of passion fruit. Journal of Functional Foods, 23, 359-369. doi:http://dx.doi.org/10.1016/j.jff.2016.02.039. Vandal, M., Phillip, W. J., Tournissac, M., Tremblay, C., St-Amour, I., Drouin-Ouellet, J., . . . Calon, F. (2016). Impaired thermoregulation and beneficial effects of thermoneutrality in the 3xTg-AD model of Alzheimer’s disease (AD). Neurobiology of Aging. doi: http://dx.doi.org/10.1016/j.neurobiolaging.2016.03.024. Briggs, F., Kiley, Caitlin W., Callaway, Edward M., & Usrey, W. M. (2016). Morphological Substrates for Parallel Streams of Corticogeniculate Feedback Originating in Both V1 and V2 of the Macaque Monkey. Neuron. doi:http://dx.doi.org/10.1016/j.neuron.2016.02.038. Butler, B. E., Chabot, N., & Lomber, S. G. (2016). Quantifying and comparing the pattern of thalamic and cortical projections to the posterior auditory field in hearing and deaf cats. Journal of Comparative Neurology, n/a-n/a. doi: 10.1002/cne.24005. Domonkos, A., Ledri, L. N., Laszlovszky, T., Cserép, C., Borhegyi, Z., Papp, E., . . . Varga, V. (2016). Divergent in vivo activity of non‐serotonergic and serotonergic VGluT3‐neurones in the median raphe region. The Journal of Physiology. Shang, Y., & Huang, E. J. (2016). Mechanisms of FUS mutations in familial amyotrophic lateral sclerosis. Brain Research. doi: http://dx.doi.org/10.1016/j.brainres.2016.03.036. Smith, K. M., Boyle, K. A., Mustapa, M., Jobling, P., Callister, R. J., Hughes, D. I., & Graham, B. A. (2016). Distinct forms of synaptic inhibition and neuromodulation regulate calretinin-positive neuron excitability in the spinal cord dorsal horn. Neuroscience. 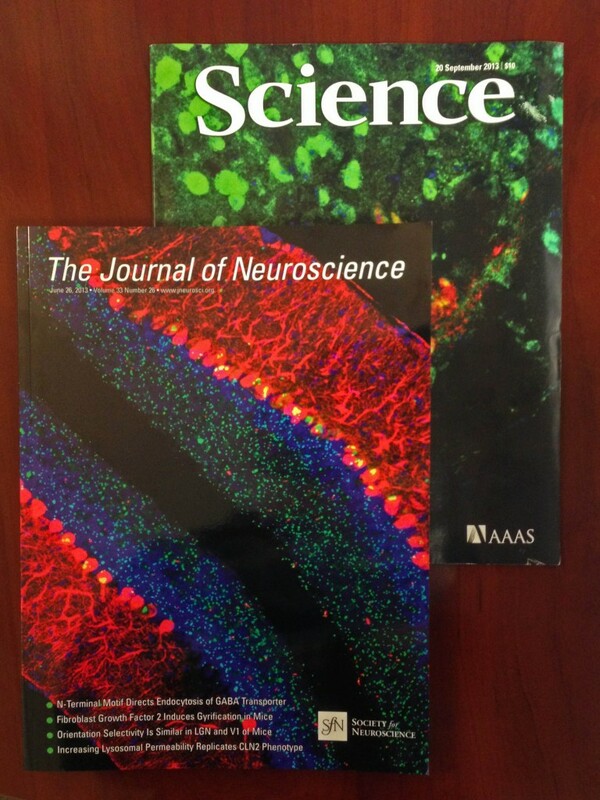 doi: http://dx.doi.org/10.1016/j.neuroscience.2016.03.058. Vinegoni, C., Leon Swisher, C., Fumene Feruglio, P., Giedt, R. J., Rousso, D. L., Stapleton, S., & Weissleder, R. (2016). Real-time high dynamic range laser scanning microscopy. Nat Commun, 7. doi: 10.1038/ncomms11077. Angstman, N., Frank, H.-G., & Schmitz, C. (2016). Advanced behavioral analyses show that the presence of food causes subtle changes in C. elegans movement. Frontiers in Behavioral Neuroscience, 10. doi: 10.3389/fnbeh.2016.00060. Posted in Customer News, MBF Company News, Software and tagged citations, Lucivid, Neurolucida, Stereo Investigator, wormlab.